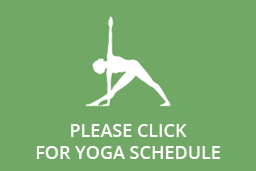 Private yoga classes allow you to receive the personal attention you need. These one-on-one sessions will benefit those who need modifications, greater clarity, or have special needs and goals. ﻿Private classes are open to all people of varying levels of experience and practice. Contact Info@BeWellMorristown.com for more information and to schedule your session. Semi-private classes can have up to 4 students per class. With a limit on the number of students, you will receive the personal attention of a yoga instructor who will help you cultivate your practice. Semi-private classes are open to all people of varying levels of experience and practice. Contact Info@BeWellMorristown.com for more information and to schedule your session. Try one of our focused yoga workshops to deepen and further your practice. See what is being offered this month and register online by visiting our Collaborative Workshops page.